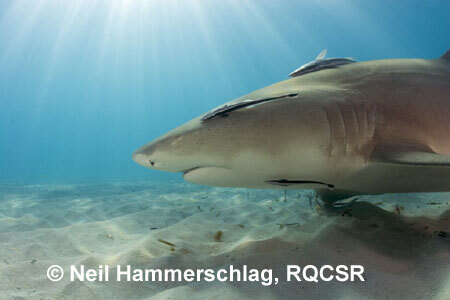 Founded in 2001, the ReefQuest Centre for Shark Research is dedicated to shark and ray conservation through its scientific research and public education programs. The Centre maintains research equipment and facilities, reference collections of fossil and extant elasmobranch specimens, a scientific library, elasmobranch data bases, and public education materials. The Centre oversees the thesis research of selected graduate students as well as publishes results of its own original research and those resulting from collaboration with students or colleagues in the peer-reviewed scientific literature, co-organizes international scientific conferences, and will begin producing its own series of scientific reports in late 2003.
to foster increased public awareness of the beauty, diversity, and vulnerability of sharks and rays.